Rent Grace Wedding & Event Center | Corporate Events | Wedding Locations, Event Spaces and Party Venues. Grace is a classic venue with a beautiful stage, hardwood floors, two white bars, white grand columns and up lighting that changes the mood to fit any occasion. Grace attracts brides who are not only looking for a beautiful ceremony & reception venue, but also the best value. Whether you want an outdoor or indoor ceremony, Grace can accommodate both. It is a unique venue that is by itself charming and romantic, yet can be transformed into something personalized just for them. Most of our brides begin wedding planning with a few simple ideas for their receptions; since they are planning an event of this importance and this magnitude for the very first time, they need expertise and guidance. Our fun, creative approach to your event design and execution is what makes Grace exceptional! With your vision in mind, our brilliant event designers can create a wedding that is a reflection of your style and your theme. We offer something different for the bride planning the most important event of her life to date. Not only does Grace offer amazing planning packages that maximize value – we also do everything we can to minimize wedding planning stress. With hundreds of decisions to make prior to her wedding day, the bride can feel overwhelmed and stressed out. A Quinceañera takes a lot of planning. Grace has experienced and talented Quinceañera event planners and decorators to help you create an incredible 15th birthday party celebration. This is one of the greatest birthday parties a young girl will ever have, so we believe she should have a celebration that is unlike anyone has ever seen. We have helped inspire, decorate, and create some of the most beautiful Quinceanera celebrations. Our Quinceañera package includes lots of beautiful decorations; Mexican, American, or Italian cuisine and much more. We’ll sit down with you and your parents to discuss what is most important to you as a group. Once we understand your needs, we will give you a price estimate to fit your budget and equal your dreams. Planning a 25th Anniversary or 50th Anniversary celebration with Grace is an absolutely worry-free, exciting experience. Anniversaries are some of our favorite celebrations to create, coordinate, and execute for our clients and their families. These milestone anniversaries should always be once-in-a-lifetime celebrations because they are one of the most important days in the lives of a couple, as well as in the lives of their family and friends. Our personal approach to designing and coordinating a special anniversary celebration begins with our clients’ personal stories as the foundation for the celebration. 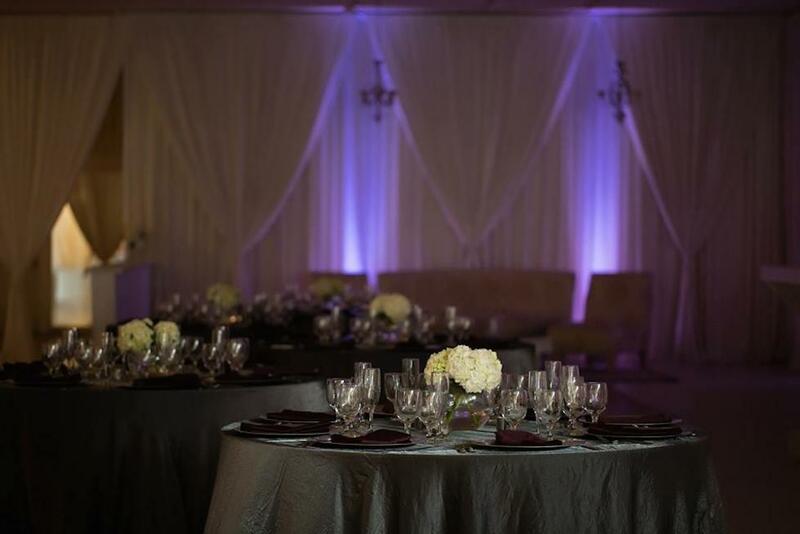 With Grace, every detail is well thought-out and every request is executed perfectly for the honored couple. You, your children, and your family will enjoy partnering with Grace as we help you create the most memorable anniversary ever of your lives.